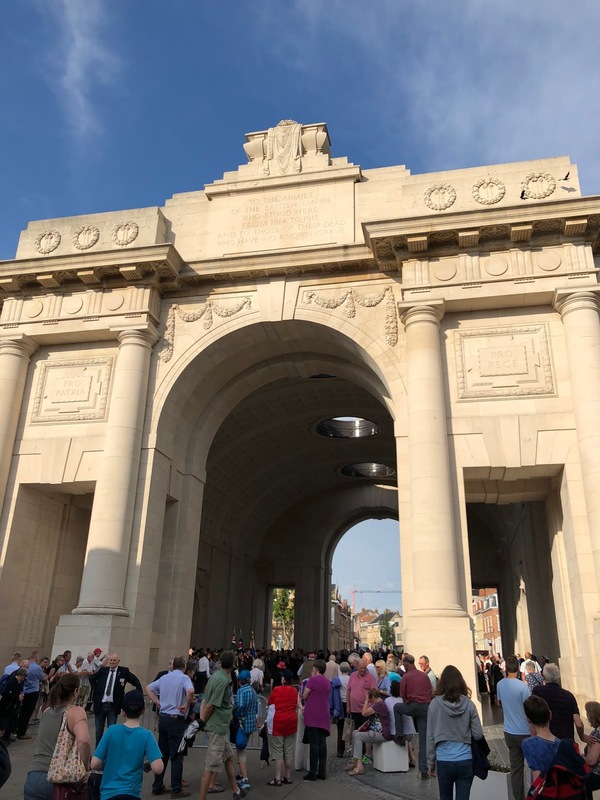 Every evening in the Belgian town of Ypres, people of all nationalities gather at the Menin Gate to remember the young men who died in the Great War. At eight o'clock sharp, a group of buglers sound the last post to commemorate more than 54,000 missing Commonwealth soldiers. Their names are engraved on the honey-coloured walls, interminable lists of men who went missing in action. They died in the fields around Ypres, but their bodies have never been found or identified. This ceremony has been performed every evening since 1928, apart from when Ypres was under German occupation during the second-world war. 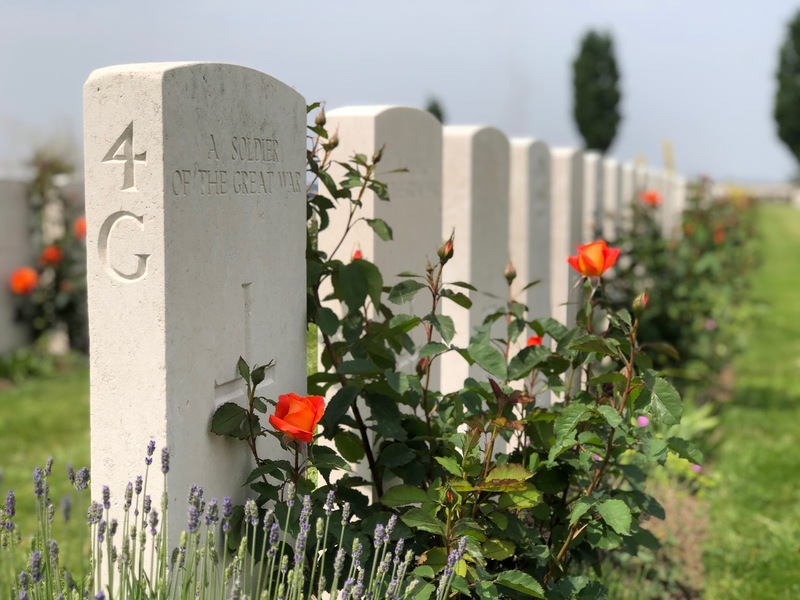 I attended with my family one Sunday in late May at the beginning of a half-term trip to visit the sites of World War I. The aim was to enrich the kids' understanding of the war, although I think we all came away with a deeper sense of what went on during this terrible period of history, viewed by some as a European civil war. On a warm spring evening, the bugles of Menin Gate filled the cavernous space above our heads with their long and mournful notes. 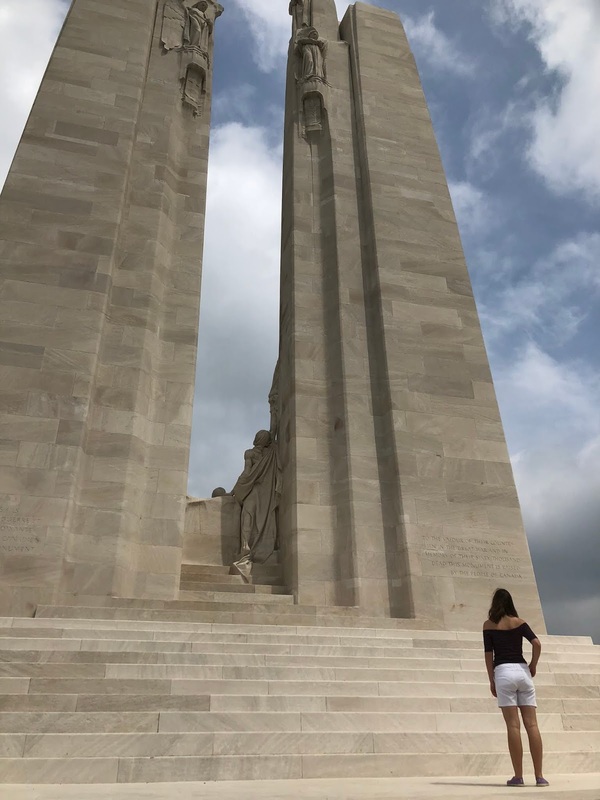 I was suffering from the tail-end of a migraine and the kids were hungry for their supper, but we stood in the bristling sunshine listening to the service, awed by the weight of history on our shoulders and the crowds of people who still came to remember one century on. 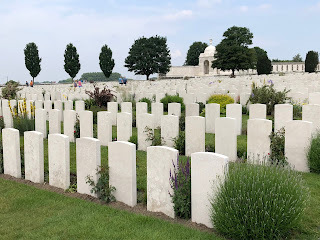 After a night in Ypres, we drove to Zonnebeke to visit the Tyne Cot Cemetery, before heading into northern France for a couple of days to take in the Canadian National Memorial at Vimy Ridge and the underground quarries at Arras, where 24,000 soldiers hid for a week before going into battle. 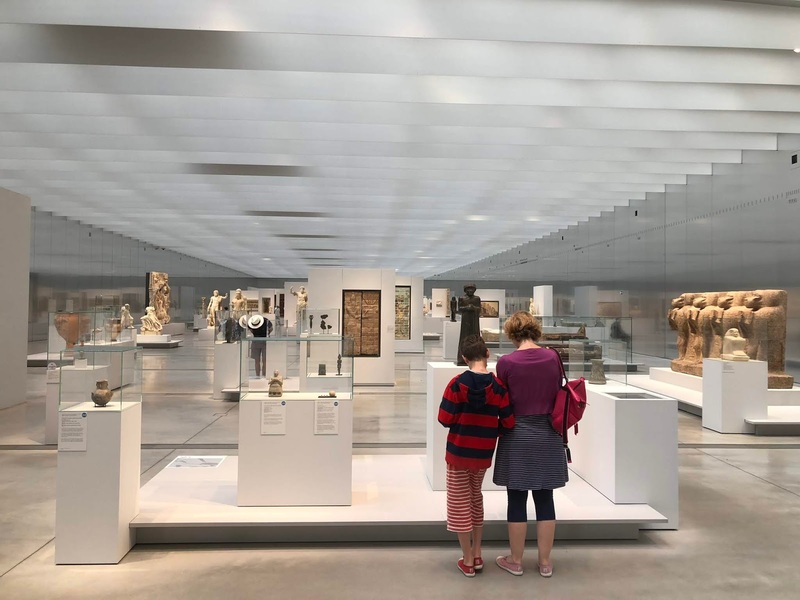 We finished up with a visit to the inspiring Louvre Lens museum, built as a regeneration project in 2012. It was a relatively easy journey by car from the UK over to Belgium, via the Eurotunnel at Folkstone/Calais. 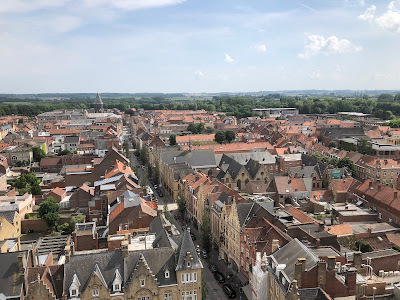 We left Henley-on-Thames at about 8 a.m. and arrived in Ypres for lunch. After checking into our family room at the friendly Hotel Ambrosia, we headed out for tapas in the main square. Fuelled by calamari rings and melted brie, we began with the In Flanders Fields Museum in the Cloth Hall. Film footage, artefacts and firsthand accounts provided some insight into war-torn Ypres (also the site of the unofficial 1914 Christmas truce between British and German soldiers). 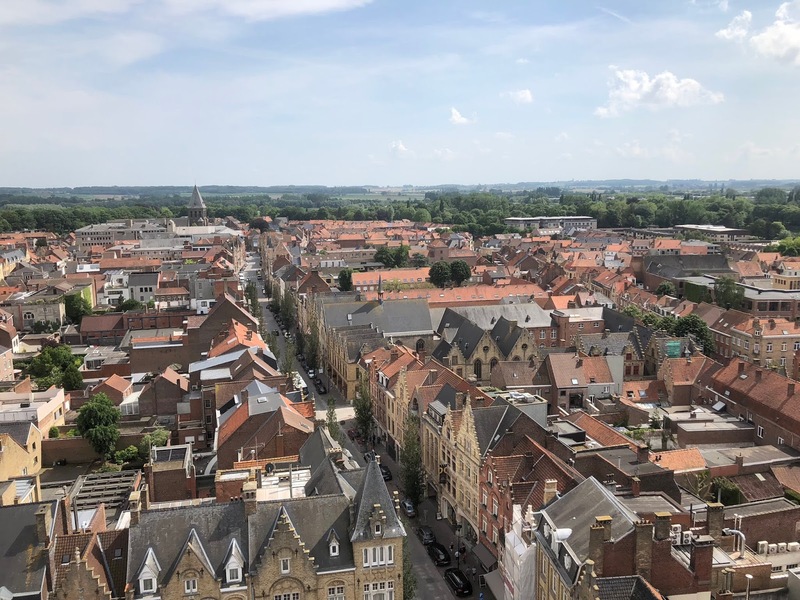 This Flemish medieval town occupied a strategic position during the first world war as the German army attempted to sweep across Belgium on its way to France. Five battles took place during 1914 to 1918, which eventually razed Ypres to the ground. After the war, the old centre was re-built, brick for brick as close to the original design as possible, using money from German reparations. After an authentic Belgian hot chocolate in cafe Karamel to recharge our flagging spirits, we headed back to the hotel for a rest. The ceremony at the Menin Gate proved a poignant end to the day. 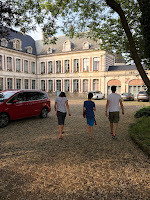 Packing up our bags, we set out for the excellent Memorial Museum Passchendaele 1917 in Zonnebeke - a good tip from the lady who ran Hotel Ambrosia. The museum was full of interesting stories and artefacts for the kids to handle, including German breastplates and a bank of smelly gases (Ypres saw the first mass use of poison gas). Although the exhibits focused on the battle of Passchendaele, an compelling audio guide began with an overview of the war. The museum also included reconstructions of a British dug-out and trenches for us to clamber through. After a pleasant lunch at nearby Koklikoo restaurant, we decided to walk across the fields to the Tyne Cot Cemetery. Although it only took about 20 minutes, it was a hot day and we arrived at the Tyne Cot visitor centre thirsty and footsore. 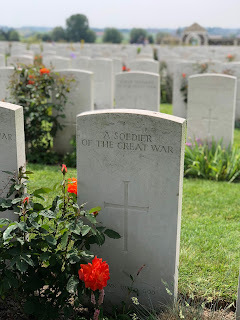 Despite our fatigue, the cemetery, the resting place of nearly 12,000 servicemen from Britain and the Commonwealth, was an unforgettable sight. The cemetery was beautifully kept - lines of named and anonymous gravestones adorned with roses and purple irises. Under the shade of a poplar tree, we sat on the grass and played a game aimed at personalising the soldiers' remains lying beneath the gravestones. 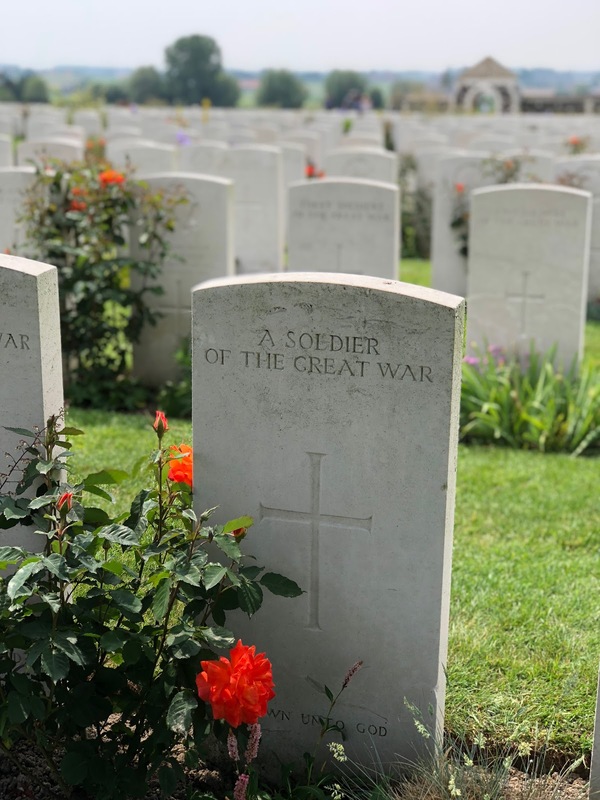 My 11-year old son pointed to one anonymous grave - A Soldier of the Great War - and imagined him as a sandy-haired young man who had joined up in 1914 to impress his parents. It brought a lump to my throat. 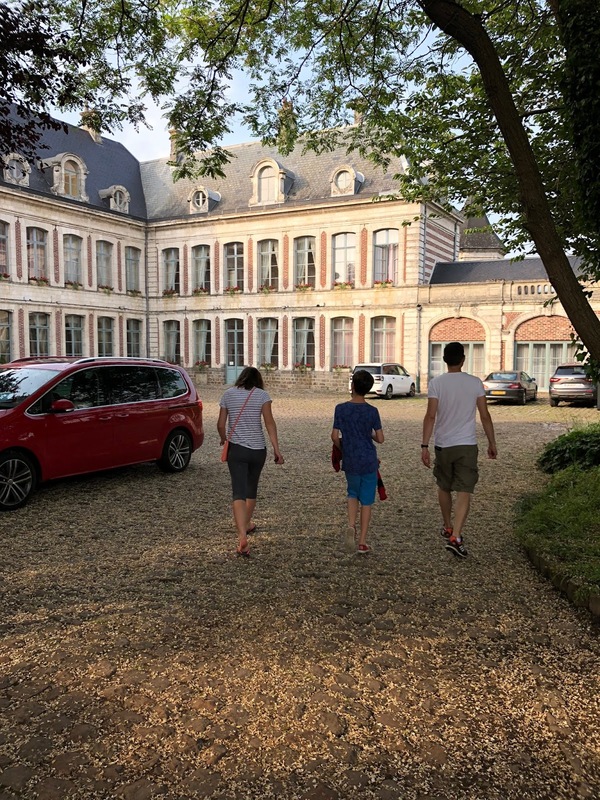 We trudged back through the heat to pick up the car in Zonnebeke and then drove for an hour to our new hotel in Gosnay, northern France, a former Chartreuse (monastery). Its old-fashioned luxury provided a soothing retreat, with four-poster beds, swirly curtains and an extensive kitchen garden that supplied the hotel's three restaurants. En route to Arras, we stopped at the Canadian National Memorial at Vimy Ridge. This is a piece of land leased in perpetuity to Canada by France to honour the Canadian soldiers that died during the war. We were welcomed at the visitor centre by the knowledgeable 'Aimee' who embodied the North American service ethic. 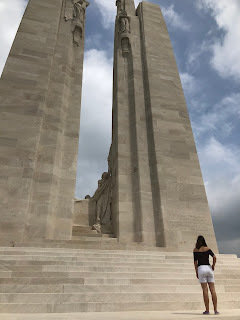 With her help, we were able to make the most of our brief visit to Vimy. After exploring some original trenches and old bomb craters, we set off on a short walk to the memorial sculpture, designed by Walter Allward. It was stunning! Hewn out of white limestone, it shone, even under grey skies. Circling the monument, we were mesmerised by all the different perspectives. Carved figures representing Peace, Justice and Truth, as well mourners and the cloaked figure of Canada herself, were positioned around a twin-tower structure that took 11 years to build. Much of this former battlefield at Vimy is off-limits because there are still unexploded munitions littering the site (the kids were both thrilled and awed by this). Mowing the grass is potentially hazardous so a flock of sheep are used to keep the grass in check. Our next stop was the underground Wellington Quarry in Arras (so-called because it was adapted by a division of New Zealander engineers). Before the Battle of Arras, several quarries and adjoining tunnels 20 metres below the town were used to conceal British soldiers, creating an element of surprise when the offensive began. The caves were furnished with running water, electricity, cooking facilities and a hospital. Signs to the WC, daubed on the walls in red paint, as well as sketches of sweethearts, are still evident. Luckily, we turned up minutes before a British tour was starting and donned our obligatory tin helmets to descend underground. It was pretty chilly in the tunnels so I was glad we'd bought a few extra layers. For me, this was our most immersive experience yet - an audio guide worn beneath our helmets played the sound of the British Tommies singing and chatting in the caves. Accounts of a church service the night before the battle, plus excerpts of letters written home in the final few hours, made me feel quite teary. The tour ended at the gate where the men had to climb up stone steps to reach the battlefield. Natural light flooded down into the tunnel from the opening above us, while the audio guide blasted our ears with the sound of gunfire and exploding bombs. It didn't take much to imagine what the men might have felt on that ominous day in April 1917. The only light relief was the constant refrain of the French tour guide. "Is ev-erryfing okay for you so far?" she asked us at each stopping point. 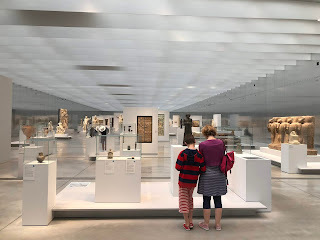 With one morning left, we squeezed in a flying visit to the Louvre's little sister in the city of Lens - the Louvre Lens. This beautiful white space, surrounded by wild flowers, hosted a gallery through time of various objects, statues and works of art, ranging from ancient Egypt through to 19th century France. Our kids were particularly absorbed by the Roman and Greek artefacts - one's enjoying Latin at school and the other is a big Percy Jackson fan! From here, we got back in the car and drove an hour to the Eurotunnel at Calais. Lunch at the terminal was grim, but we were arrived back in Blighty for a cup of tea and a slice of Victoria sponge at our cousins' house. It was a successful and stimulating trip, just a few hours' drive from home. Although Brooke died from an infected mosquito bite off the coast of Greece, the poem was written in Belgium in October 1914. His idealistic words allude not only to the senseless slaughter, but to this strange legacy we have inherited, a bond through bloodshed with a foreign land, a bond with Europe.